Lancaster Arts is pleased to announce our annual Supporters Trip for 2015, with a visit to Leeds on Tuesday 8th December. Exclusive and free* to Supporters our day trips offer informal visits to art festivals and galleries relevant to the North West. The trips are aimed at Supporters who hold a shared enthusiasm for contemporary art and are keen to get to know Lancaster Arts staff. Places are limited and booked via the Lancaster Arts box office on a first come first served basis. This year we head to the city of Leeds and to the Leeds Art Gallery currently hosting British Art Show 8, a curated showcase of breakthrough contemporary artists from the isles. The trip begins at BAS8 with an introductory tour, then returns early evening for a talk from artist Anthea Hamilton. 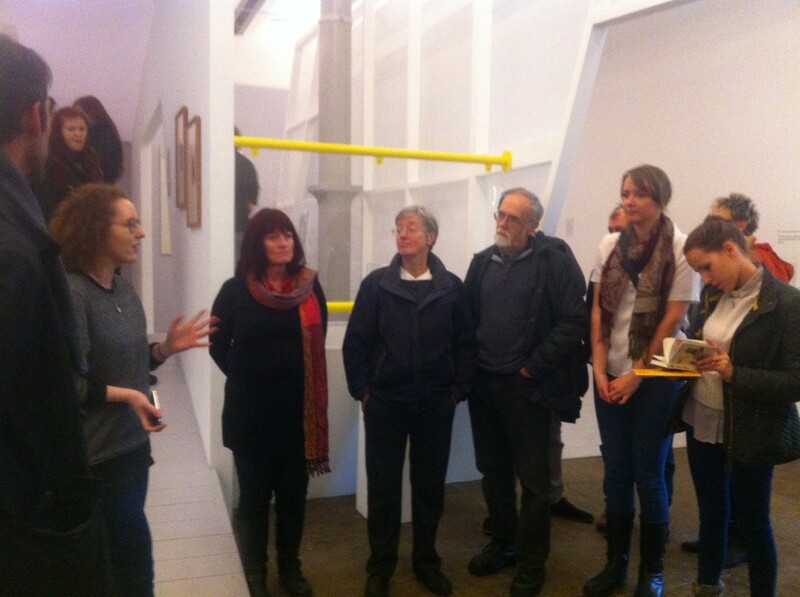 In between we visit artist-led studios East Street Arts and the recently established Tetley centre for contemporary art, with introductions/tours at each. Departure will be at 9.30am sharp from Lancaster University, returning between 9 and 10pm. Places are available to Non Supporters at £10 per seat. 1 For those over 18, by booking on this trip you consent to travelling with us on the minibus and joining us on this day trip at your own risk. If under 18 please make sure you are accompanied by an adult who consents to taking responsibility for your safety for you. Note: PLEASE BRING ID WITH YOU WHEN MEETING US TO LEAVE SO WE CAN VERFIY YOUR AGE. 3 Unfortunately, on this occasion we are unable to welcome wheelchair users to travel with us via the minibus. However wheelchair users are very welcome to join us in Leeds if able to use own transport. Please inform our box office if you are intending to join so we can make the necessary arrangements with the trip venues.